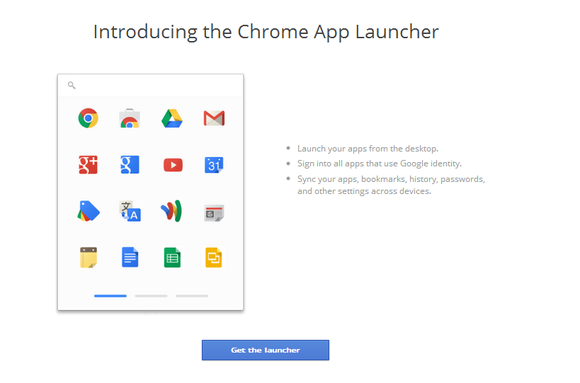 After months of behind-the-scenes teases, Google appears to have quietly introduced the Chrome App Launcher in the stable version of Chrome for Windows. The Chrome OS feature—ported over to the Chrome for Windows developer channel in February—wasn’t available through a search of the Chrome Web Store or advertised on the site’s front page at this writing, but Windows users can install it now by navigating directly to the Chrome App Launcher page inside Chrome’s app store. First spotted by Engadget, the new feature is Google’s incursion into the desktop PC, creating a self-sufficient Chrome ecosystem inside Microsoft’s OS. 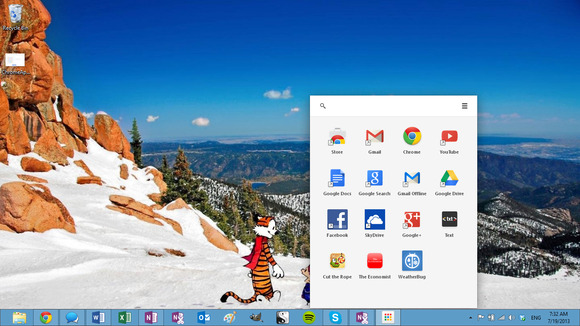 The Chrome App Launcher lets you directly fire up any Chrome Web app or packaged app right from the Windows taskbar—even when Chrome itself isn’t running. Packaged apps are HTML 5-based standalone desktop apps based on Chrome that don’t look anything like your Web browser. There are no tabs, URL address bars, or bookmarks, but these apps do rely on Chrome’s underlying infrastructure and are installed via the Chrome Web Store. 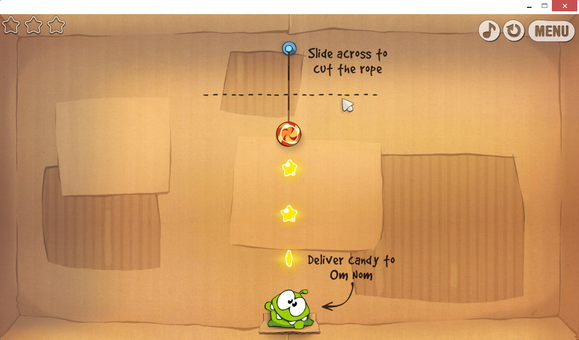 It’s still early days for packaged apps, but there are a number you can try out, such as a generic text editor and an IRC client, as well as known quantities like Cut the Rope, the Economist, and Weather Bug. For a list of interesting packaged apps to test see this post from Pocketables. Like the app launcher, anyone using the stable version of Chrome will have to navigate to each packaged app directly, as they were not discoverable in the Chrome Web Store at this writing. Google added a packaged apps section to the Chrome Web Store in May for anyone running the dev channel version of Chrome. But that section of the Web store had yet to go live Friday morning, despite the soft launch of the Chrome App Launcher. The two features go together like peanut butter and jelly, so it’s odd that Google has made the app launch available without the new packaged apps section in the Web Store. Perhaps the search giant plans on officially rolling out the app launcher and the packaged apps section of the Web store later on Friday. Launch Web sites and packaged apps even when Chrome isn’t running.